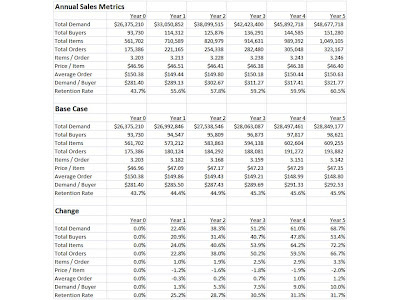 With the impact of advertising built into the spreadsheet, we can simulate a veritable plethora of scenarios. For instance, we can experiment with a tripling of the e-mail marketing frequency. 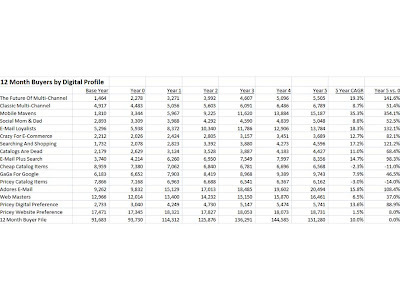 Click on the image below to see what happens to the growth rates of each Digital Profile, when the e-mail marketing frequency is tripled. 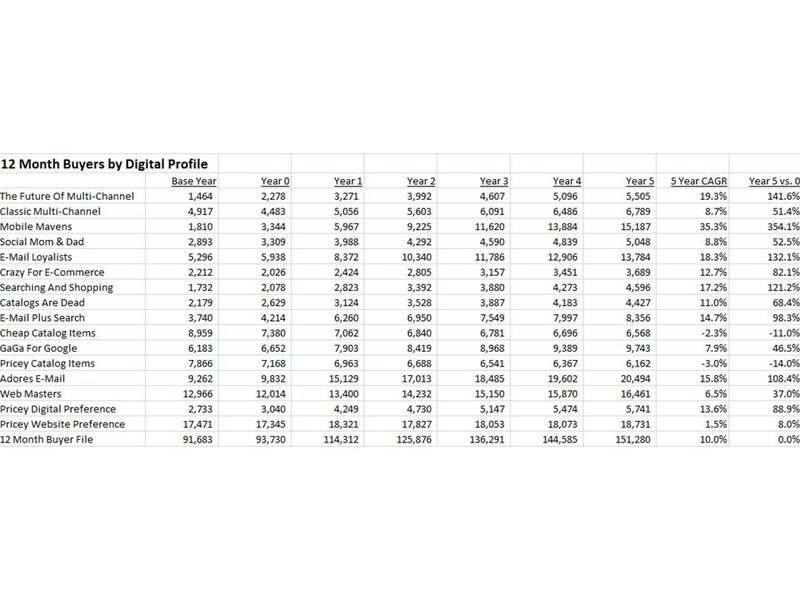 Look at the Digital Profiles associated with e-mail marketing ... those profiles grow at a very healthy rate, don't they? E-mail Loyalists grow by 132% over five years, E-mail Plus Search grows by 98% over five years, Adores E-mail grows by 108% over five years. Notice that other segments grow, some a lot (Mobile Mavens), some not so much (Pricey Website Preference). In other words, the type of marketing you choose to employ can play a role in how your business evolves over time (hint --- discounts and promotions). 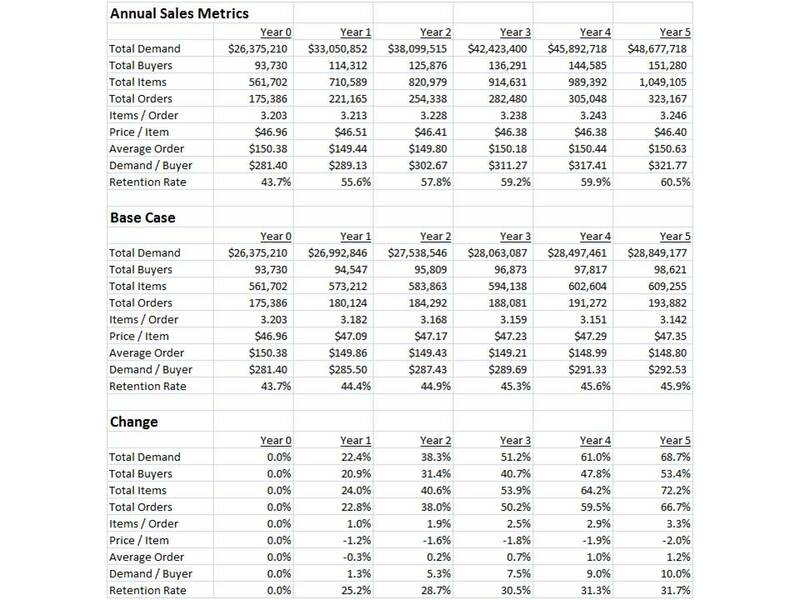 Take a look at what happens to sales, over the course of the next five years. Retention rates are clearly increased, causing the business to grow significantly over time. Notice the compound impact that happens, sales grow additionally each year, because more customers are retained, causing more customers to exist. If you'd like to have these scenarios run for your business, give me a holler, I'd be happy to help.